Our range of products include liquid milk processing plant, milk powder plant and evaporated milk plant. Milk is widely considered as one of the world's most valuable protein food. As a raw material. It is available in various forms, and it is processed into an ever increasing variety of nutritional products. SSP offers Dairy Plant that includes small milk processing equipment for handling milk in litre capacity of 1K-5Lac litres per day. A number of products like ghee, butter, cream, toned milk, double toned milk, skimmed milk, can also be manufactured. Milk is first received in a dump tank from the road milk tankers. It is then chilled in a chilling unit to 4ºC. This chilled milk is then pasteurized in a milk pasteurizer and cream is separated from milk in by the cream separator to get skimmed milk. 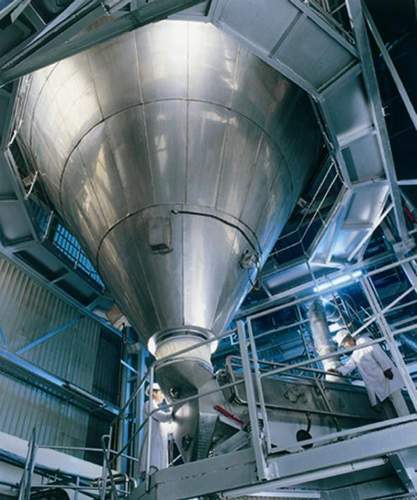 combination of multiple effect evaporator spray dryer with fines recirculation system and use of a 'Vibro Fluid Bed Dryer', produces instant quality powder. 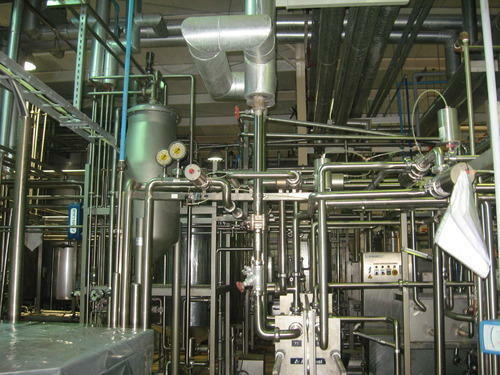 PROCESSTo manufacture sweetened condensed milk the pasteurized milk with added sugar syrup is taken to the evaporator and concentrated to desired level of concentration. The product is then cooled in such a way that lactose forms very small crystals in the supersaturated solution. After cooling & crystallization the sweetened condensed milk is packed in pre-sterilized cans or in barrels. 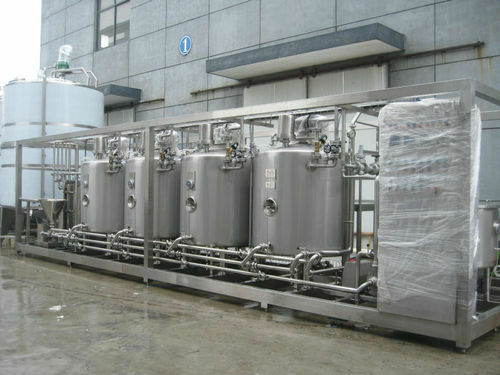 The manufacturing process for the evaporated milk involves precision standardization of the fat content and the dry solids contents. This is followed by heat treatment which partly destroys the microbes present in the milk. Checks are carried out on the coagulation stability of the milk before it is packaged in the sterilized cans. The product is then placed in an autoclave for sterilization. Finally the cans are cooled before storage. 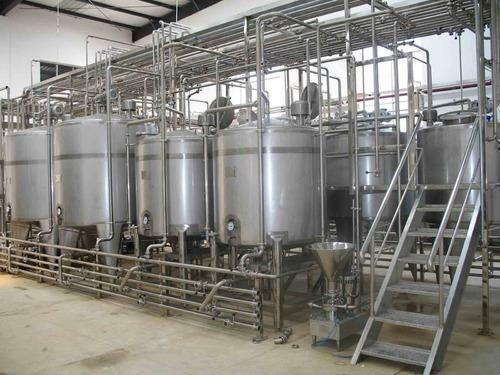 Looking for “Dairy Processing Projects”?